A lot has transpired in the two years since my last post. On April 14, 2012, I mentioned an intention to post photos from our summer 2011 genealogical vacation. That never happened. 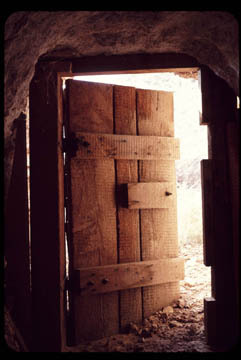 Also, I mentioned that I intended to use this site at a "Genealogical Rescue" site. That did happen, but not through this site. A family Bible that I purchased in 1991 at garage sale was returned to a family member last year. Today's post is about old photos and a rescue in the making. My grandmother, Nola Gowen, was born in the tiny town of North Loup Nebraska, in 1902. 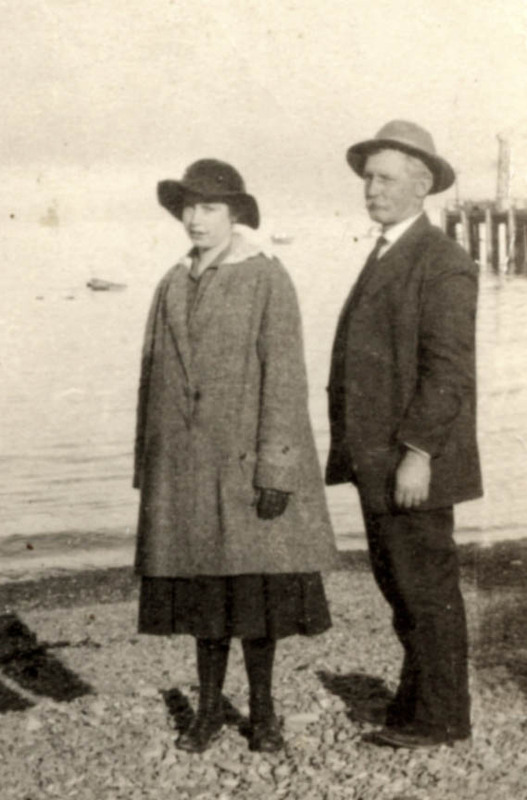 Her mother, Myra Babcock was the daughter of one of the founders of the town, Oscar Babcock. Nola’s father, William Gowen, co-owned the largest general store in town, and William’s father ran the largest hotel at one time. Nola by all accounts was a gentle, caring, positive, godly woman. Unfortunately I never knew her, she died five months before I was born. But I am certain that her prayers for me, though not yet born, have had an influence on my life. Oscar & Metta (Bristol) Babcock. 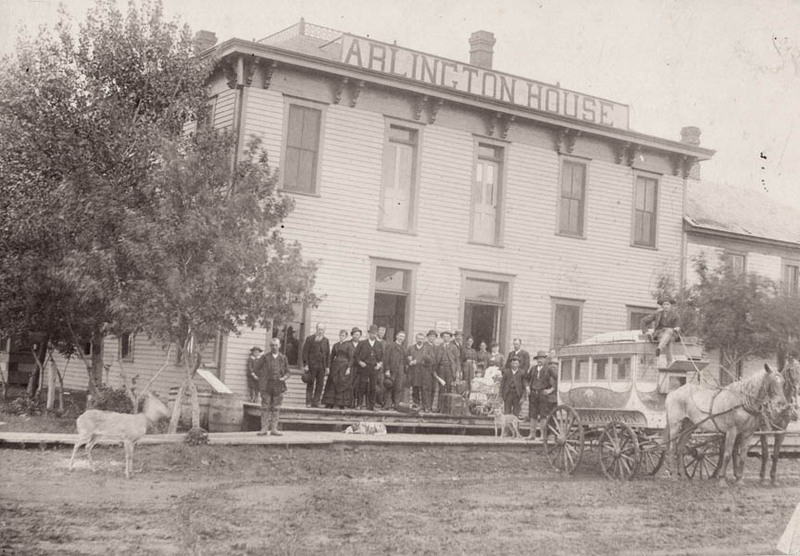 The Arlington House hotel in North Loup, before 1895.
of the window on the left. Nola’s grandfather, Oscar Babcock, also was the founding pastor of the Seventh Day Baptist church in North Loup, Nebraska. (Google records about 6,000 hits for “Oscar Babcock” (with quotes)). In 1871, a party of Seventh Day Baptists from Wisconsin explored Valley County for settlement sites. In May 1872, they established a community near what is now North Loup. A post office and general store were established in 1873; in 1877, the town of North Loup was formally organized. The name was taken from the North Loup River, in whose valley the village lies. Oscar organized that 1871 scouting party. 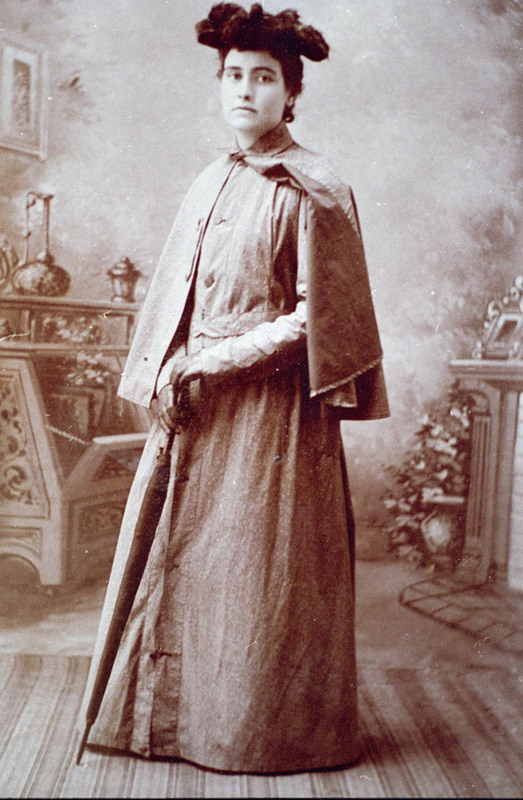 Oscar Babcock was licensed to preach in 1858; at the same quarterly meeting when a like call came to A. H. Lewis and to A. B. Prentice. He was not ordained till twelve years later, that is, in 1872. He was a member of the state [Wisconsin] legislature in 1863-4 and in 1865-6. 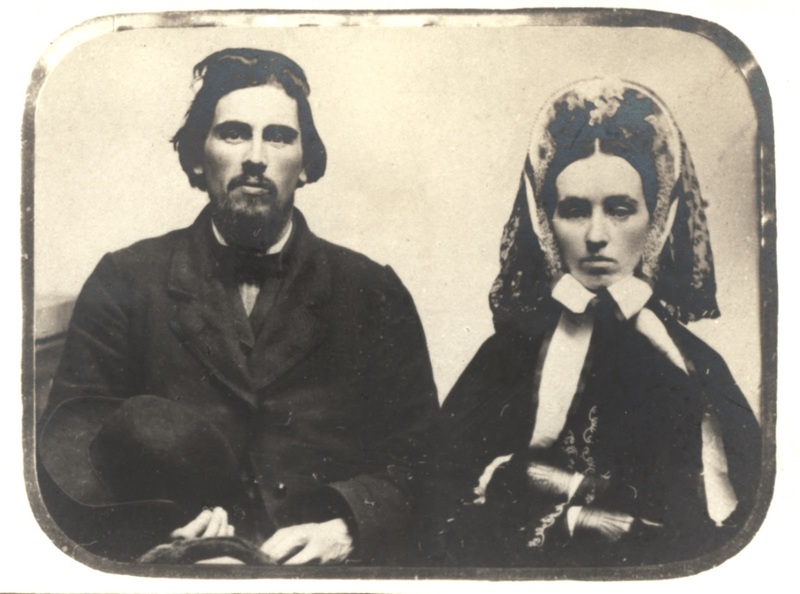 He was promoter and president of a scheme of colonization that resulted in the establishment of a Seventh-day Baptist society in North Loup, Nebr. He has been pastor at Dakota, Wisconsin, and at North Loup. He was Sabbath school superintendent in North Loup for seventeen consecutive years. He was postmaster at Dakota and was connected with the post office department while member of the Wisconsin legislature. He was postmaster at North Loup for about twenty-seven years. He was the first preacher in Valley county, preaching the first sermon among the covered wagons camped near the river May 18, 1872. A rocking chair was used for a pulpit. He performed the first marriage and conducted the first funeral. He assisted in organizing Valley county in 1873 and was the first county judge. He laid out the site of North Loup which was a part of his homestead. For years he was chairman of the village board and of the school board. He was also immigration agent and county commissioner for many years. At one time he was superintendent of schools for Valley county. In 1878 he was elected to the legislature of Nebraska. North Loup was essentially established as a Seventh-day Baptist colony, though, it wasn't exclusive. Anyone was welcome. Because of the relatively small size of the denomination since it’s American founding in Rhode Island in 1665, there was a considerable intermarriage among church members. Of course there was. These are the people you worship with, they are your very best friends. You share life together as a congregation, celebrating births and weddings and comforting those left behind at funerals. I am a product of that Seventh-day Baptist community. I have three photos taken in 1938 of the adult, teen and children’s North Loup SDB Sunday classes. Every person is identified. As I started going through these photos I realized that I am related to about 90 percent of these people through marriage or blood. The more I work on these families, the more tightly I find them connected. Just a few weeks ago when I spotted a photo on ebay of “George Miller taken at North Loup, Nebraska.” I was interested. Wasn't I related to most of the people of North Loup? He could be a cousin! The ebay posting went on to say "I purchased purchased a box of antique photos sometime ago at an estate sale… So I am putting them on ebay.” After I contacted the seller she did put the entire box (of some 75 photos) up for auction, and I won it. I will relate what I found in the box in my next post.